Our acupuncturists can help you with gastro-intestinal troubles such as oesophageal spasms, hyperacidity, irritable bowel syndrome, etc., arthritis, chest pain, carpal tunnel syndrome, constipation and diarrhea, muscular spasms such as trembling, tics, contractures, shoulder pain, neck pain and torticollis. Acupuncture is one of the spheres of traditional Chinese medicine, based on the placement and manipulation of fine needles at various places of the body for therapeutic means. 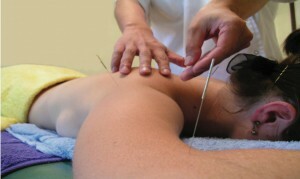 Traditional acupuncture is based on prescientific and vitalist concepts. All while elaborating its diagnostical and therapeutical reasoning on an energetic vision of the Taoist man and the universe. C’est dans les respect des techniques anciennes de l’acupuncture que nous travaillons.